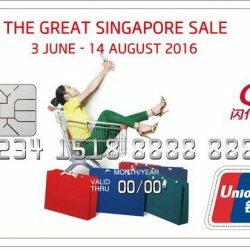 Get more for less during this #GSS with #UnionPay! Receive a discount of 15% of total bill with a minimum spending of $1000 till 14 August 2016. Remember to talk to our staff and see what other goodies they have for you!